This is a very detailed miniature cabinet bronze of a prize Bull. 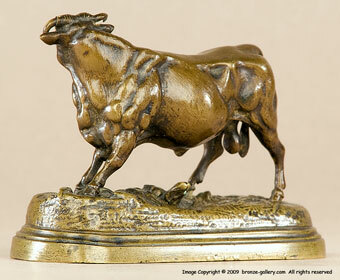 Moigniez did a few of these small cabinet bronzes but they are very hard to find today as very few survived. 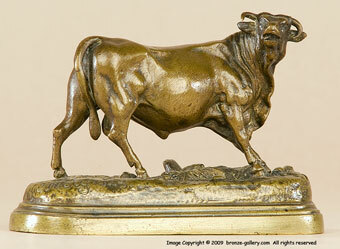 This little Bull is very detailed and finished in a light brown patina.